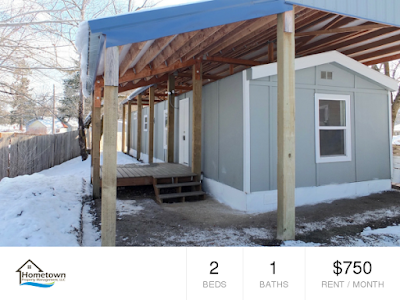 Newly Remolded 1 Bed 1 Bath Home w/ Detached Garage Downtown Spirit Lake! Looking for the perfect place to call home? Enjoy life near the heart of downtown Spirit Lake in this newly remolded home! This freshly updated one bedroom one bath home is located just 0.3 miles from Spirit Lake City Park, and is just blocks away from schools, restaurants and shopping. Step inside and onto the refinished hardwood floors in the living room and let the natural gas fireplace greet you with warmth and charm. The fully remodeled kitchen has new vinyl flooring, beautiful painted cabinets, new countertops, tiled backsplashes, a stainless steel sink, and new appliances. One good sized bedroom with storage built ins and a full bathroom with a new tub/shower combo complete the living space. Access to the detached garage and backyard are through the laundry area with a stackable washer and dryer set.